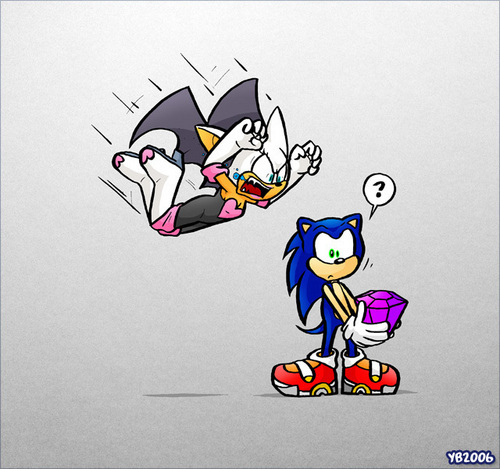 :] rouge on sonic. . Wallpaper and background images in the ROUGE THE BAT club tagged: rouge the bat cool. Unfourtunatly, I've been in that exact situation lots of times. It still hurts to sit. RUN FROM MY COUSIN SONIC!!!!! GO GET HIM ROUGE!!!!! that pics no good....rouge is PRETTIER!!!!!! !